Mary Ann Gabel, 85, Hays, died Friday, November 16, 2018 at Homestead of Hays. She was born October 28, 1933 in Antonino to Jacob and Amelia (Werth) Haas. She attended Girls Catholic High School and later received her GED. On August 6, 1951 she was united in marriage to Leon N. Gabel in Hays, and they celebrated over 51 years of marriage before he preceded her in death on March 12, 2003. She was a homemaker, farmwife, a cook at Thomas More Prep-Marian High School and St. John’s New Horizons, substitute rural mail carrier, Southwestern Bell Telephone operator, and a volunteer at the ARC Thrift Shop. Her memberships included St. Joseph Catholic Church, Christian Mothers, and the Daughters of Isabella Circle #254. 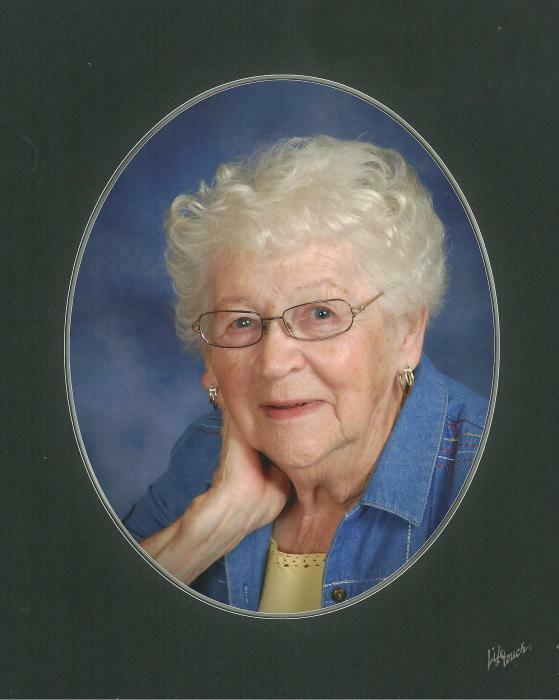 She enjoyed gardening, sewing, baking, praying the rosary, and gambling trips with husband. Survivors include a son; Anthony “Tony” Gabel and wife Christine of Hays, five daughters; Carol Legleiter and husband Clarence of Hays, Jackie Rothenberger and husband Danny of Olathe, Amy Dreiling and husband Dave of Colwich, Nicki Russell and husband Blair of Abbott, TX, and Kim Schmidtberger and husband Ron of Victoria, 17 grandchildren; Frank Legleiter and wife Donna, Leon Legleiter and wife Carrie, Matthew Legleiter, AJ Jensen and wife Theresa, Nick Jensen and wife Melissa, Christopher Rothenberger and wife Heather, Joshua Dreiling, Kenton Dreiling and wife Lindsay, Phillip Dreiling and wife Nichole, Kenneth Wolf and wife JJ, Jessica Neill and husband Chris, Lucas Wolf and wife Lauren, Cassie Hanks and husband David, Cammie Whisman and husband Geoff, Cody Schmidtberger, Michael Gabel, and Stephen Gabel, 23 great grandchildren, one great-great granddaughter, and numerous nieces and nephews.